when using the mini-graph at its lowest size, internet speed text is not readable or clear. In this forum post, you’re almost totally right (per my eyes). Your image is a little smaller than 100px X 200px, yet even without zooming in on my home PC I’m reading 919KB/s download and 1 KB/s upload. I have a pro tip! 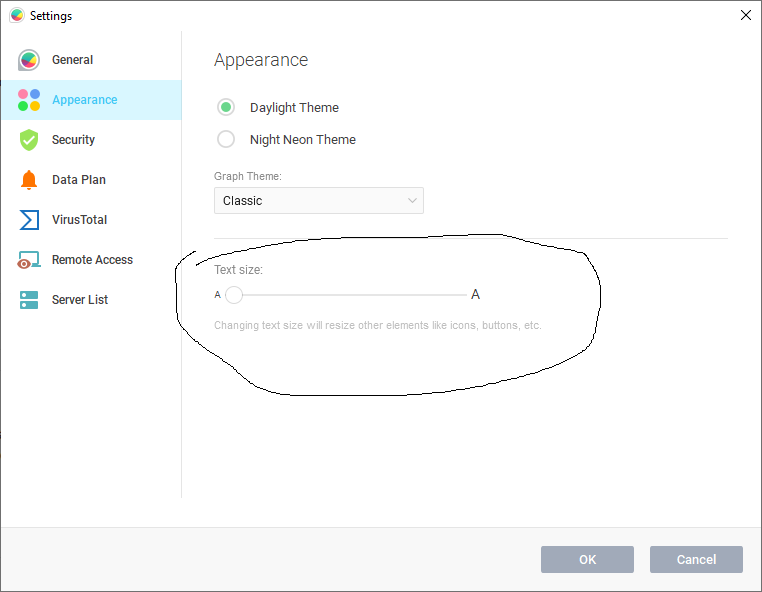 Go to GlassWire’s settings and make our fonts larger. Now see how it looks. Problem is that this changes everything, can there be a way to just change the mini-graph font size and color?